Why are some of my Facebook pages not showing up in the connection list? Does the account which you've entered credentials have admin access to the page? If the permission level is anything other than admin, Facebook will not allow us to connect. To do so, click the "settings slider" in the Facebook integration, and then click the "edit" button. From there, click "New Account", and re-enter your credentials when prompted. Ensure that all checkboxes are checked, and all permissions are enabled in the popup that will appear. Note that the same page will appear multiple times in the list for different permissions. Our platform will be denied access to any pages that aren't checked. Use the "New Account" button in our dashboard to re-enter credentials (described earlier in this article). The accounts should then be visible. 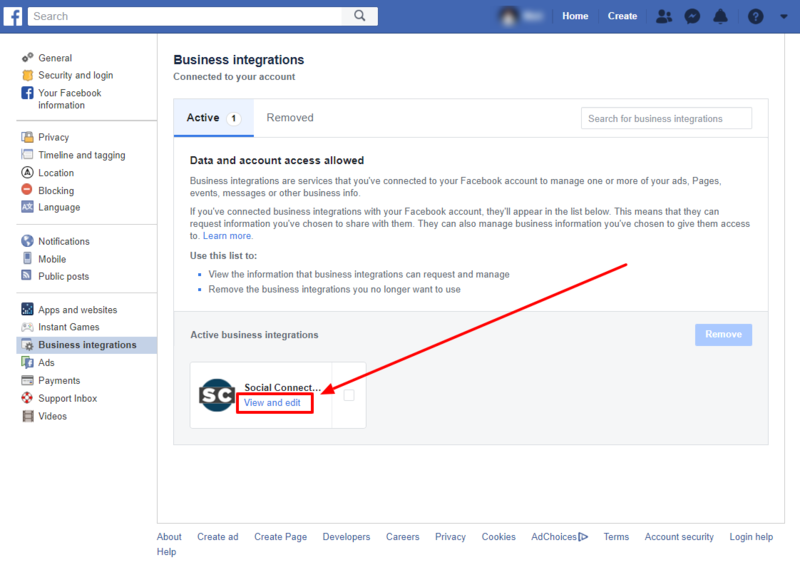 If the above steps don't work, please delete the "Social Connection" app at https://www.facebook.com/settings?tab=business_tools completely. 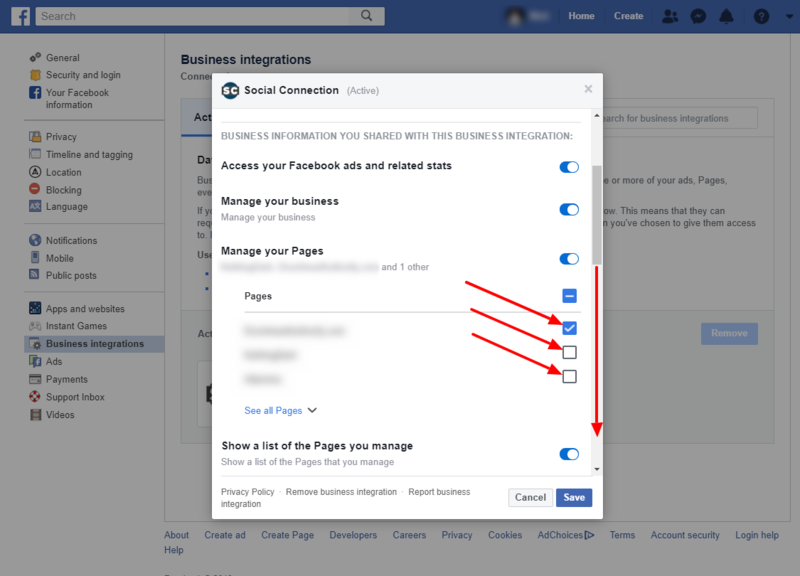 Then, follow the process in step #2 above (re-enter credentials) to re-connect to Facebook. When approving permissions, make sure the user allows access to ALL Pages. If none of the above steps resolve the issue, please contact our support team. Do I need my customers' Facebook username and password in order to connect their Facebook account? What if I run all of my customers' Facebook Ads campaigns under my own account, and don't have them separated by account? 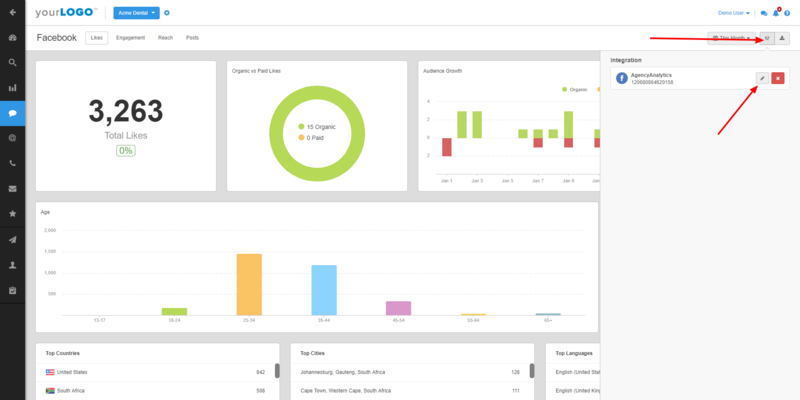 Can I still use AgencyAnalytics?